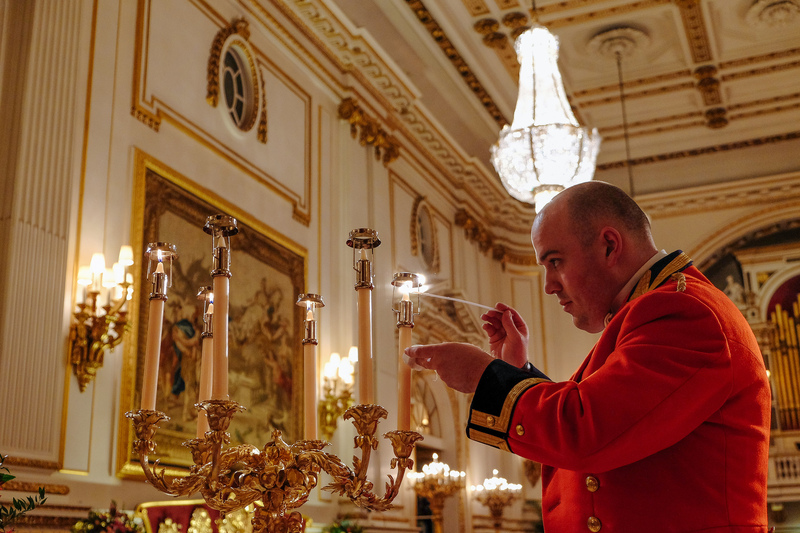 A look behind the scenes as Buckingham Palace prepares to host a State Banquet for The Queen and 150 guests. 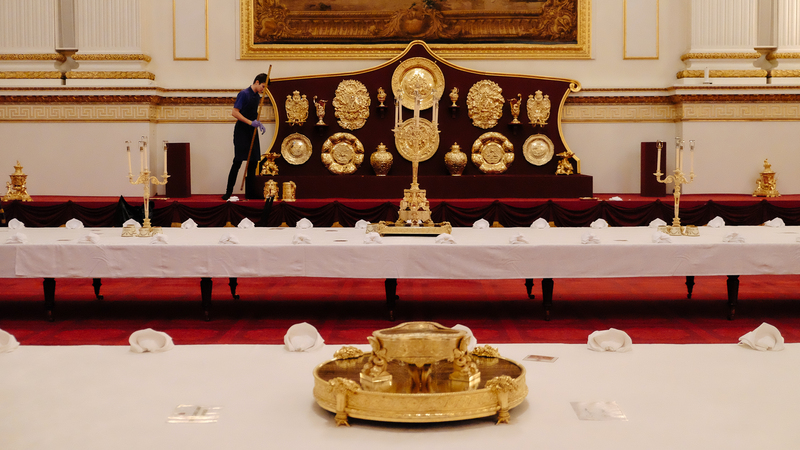 Preparations for a State Banquet begin well over a year in advance, but the final build of the State Banquet table starts around five days ahead of the arrival of the visiting Head of State. 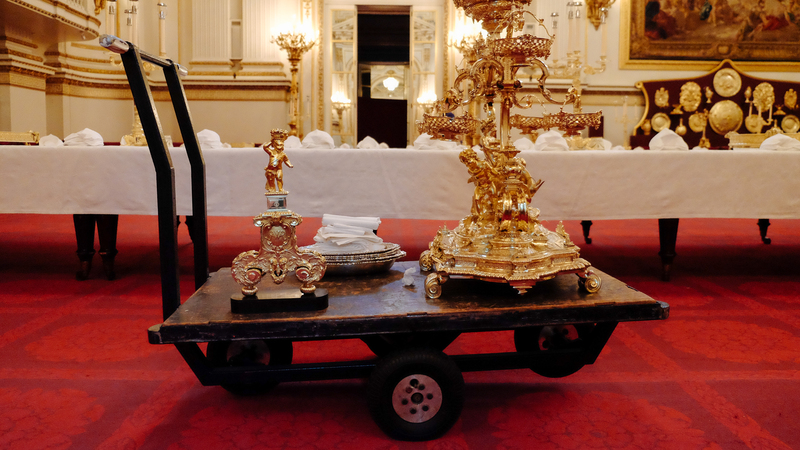 The operational arm of Buckingham Palace, The Master of the Household’s department take the main bulk of the responsibility for ensuring the Banquet runs according to plan. 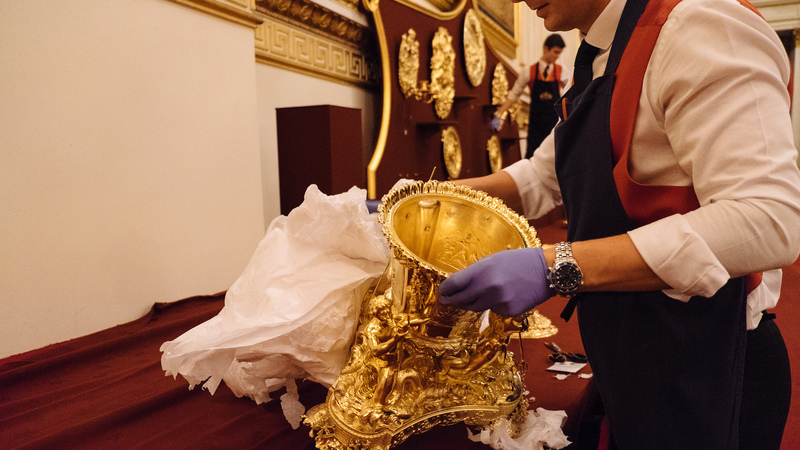 After the Banqueting table is put together, and the decorative display is delivered, unpacked and positioned in place, the final touches are added. 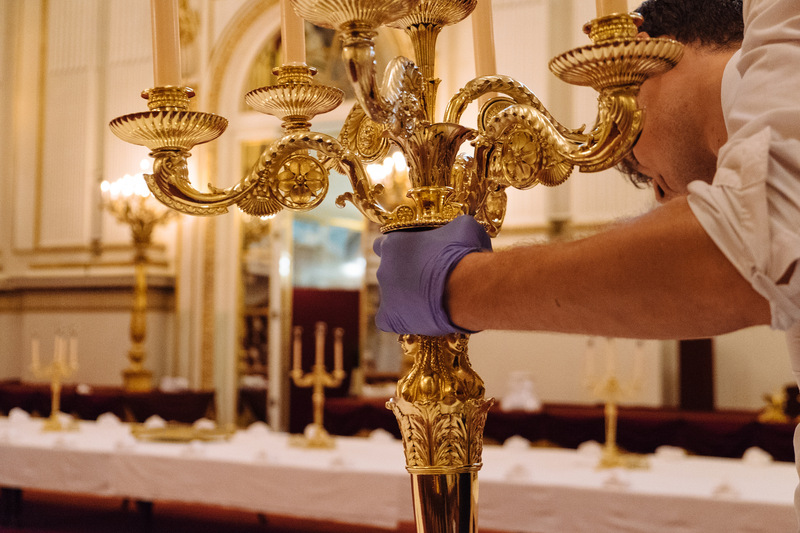 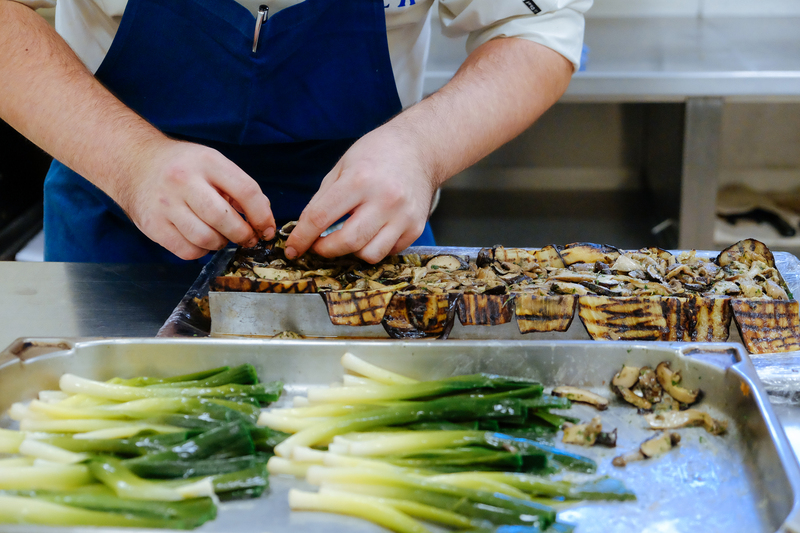 Preparations in the kitchens of Buckingham Palace begin as close to the event as possible — with every dish handmade from scratch. 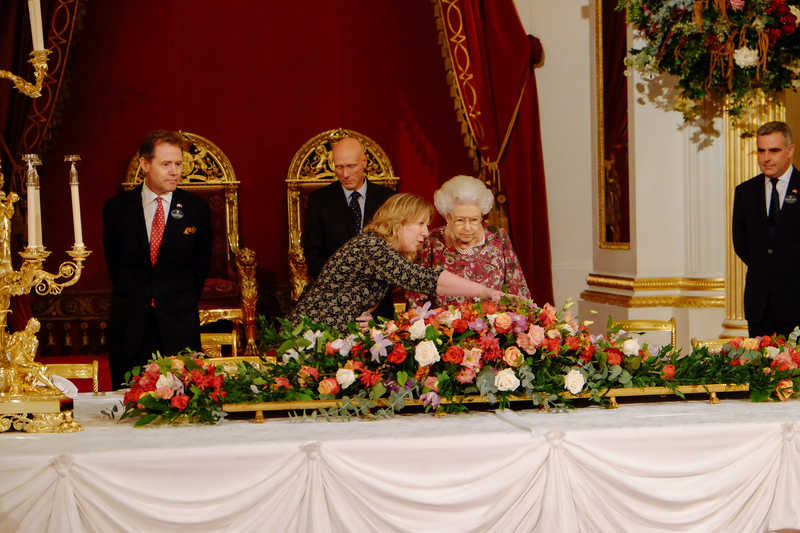 Every element of the State Banquet is inspected, checked and approved by The Queen, right down to every last detail.